In addition to providing forage for the beneficial insects we depend on for food security, a pollinator-friendly landscape will also help agricultural soils. A first step in improving soil health is reducing the amount of topsoil lost to wind and water erosion. 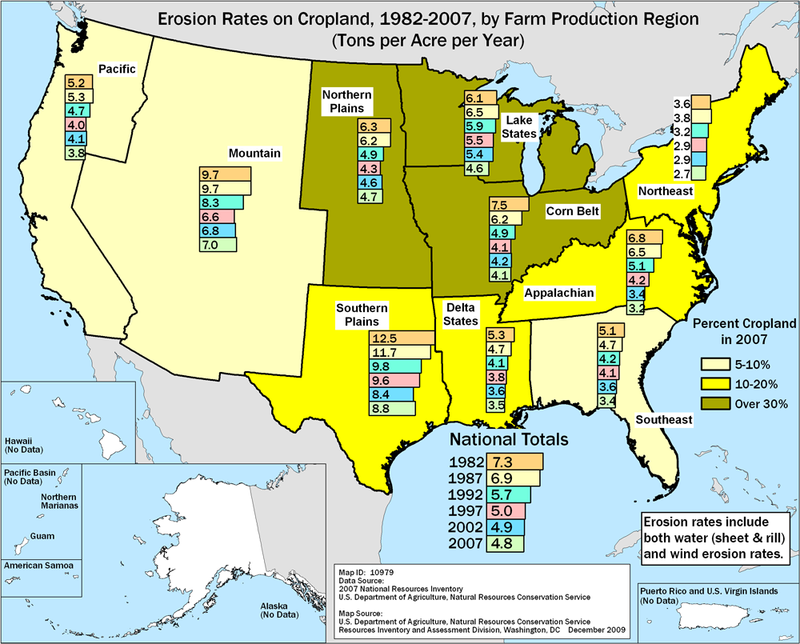 According to the USDA, the U.S. lost, on average, 2.7 tons per acre up to 8.8 tons per acre — per year — between 1982 and 2007. It’s worth reiterating: That’s tons. Per acre. Each year. With grassroots partners and many of the nation’s expert entomologists, theCenter for Pollinators in Energy at Fresh Energy has led or advised on the creation of standards for what constitutes “pollinator-friendly” in the context of the managed landscape of a solar farm. When a product is promoted as “organic,” consumers expect it to meet the USDA Organic standard, and similarly for solar farms, it’s important that entomologists inform the standard as to what’s good for bees. Crops including alfalfa, cranberries, strawberries, pumpkins, blueberries, and cucumbers can be produced outside the fence of a solar array and significantly benefit from the pollinator habitat around and under the panels inside the fence. And the diverse vegetation on a pollinator-friendly solar farm is terrific forage for honey bees as well as for rotationally grazing smaller breeds of sheep. 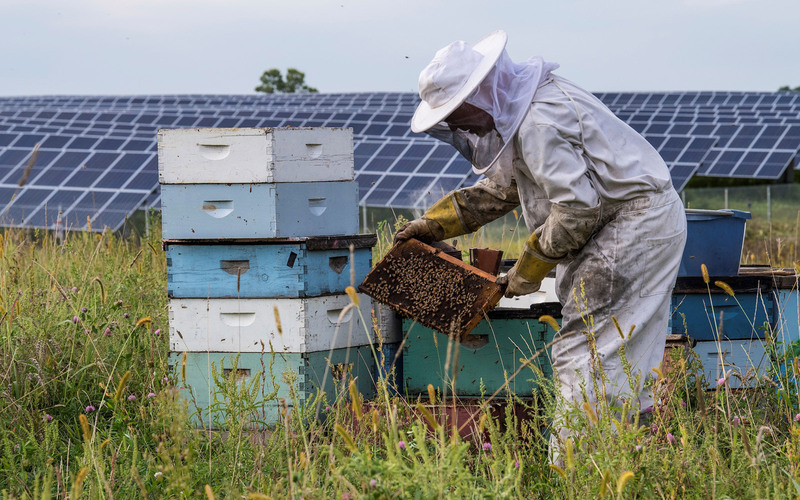 Along with Clif Bar, University of Minnesota, Cornell University, and others, Organic Valley is a partner in research funded by the U.S. Department of Energy to learn more about best practices for pollinator-friendly solar farm design and management. As director of Center for Pollinators in Energy at Fresh Energy, Rob Davis helps accelerate the nation’s transition to the use of clean and renewable energy. Davis’s work on pollinator-friendly solar has been highlighted in Scientific American, Fast Company,and in trainings by the U.S. Department of Energy, and he presented at TEDxMinneapolis in 2017. He can be reached at davis@fresh-energy.org.